'Mount Cotton' redirects here. For the Chinese mountain sometimes translated as Mt Cotton, see Mount Mian. Mount Cotton is named for the mountain that is in the area. 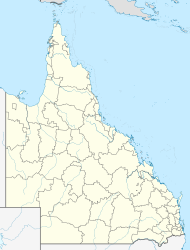 It was named by Robert Dixon, a surveyor in the colony of Queensland. He named it after the commandant of the Moreton Bay penal settlement, Major Sydney Cotton. In 1933, the first chicken farm in the area was established. Until the Shire of Tingalpa was abolished in 1949, Mount Cotton hosted its council chambers. Sirromet Wines winery on Mount Cotton Road opened in 2000. The vineyards are located on the Granite Belt where the climate is more suitable for grape growing. Mount Cotton is a koala conservation area. In the west, the Venman Bushland National Park preserves a section of bushland along Tingalpa Creek. To the east, a wildlife corridor goes from the mountain towards Eprapah scout environmental site and Victoria Point, along Eprapah Creek. Several poultry farms are located in Mount Cotton. A Hillview Road chicken farm is developing a biomass power plant which is expected to provide renewable energy to the electrical grid. The project has faced opposition from local residents and delays as the plant was re-designed to encompass improvements in technology. Developers Cleveland Power claim the power plant will be able to supply electricity to 7500 homes annually. In the 2011 census, Mount Cotton recorded a population of 4,804 people, 50.8% female and 49.2% male. The median age of the Mount Cotton population was 32 years, 5 years below the national median of 37. 76.8% of people living in Mount Cotton were born in Australia. The other top responses for country of birth were England 7.8%, New Zealand 4.1%, South Africa 2.4%, Scotland 0.7%, Ireland 0.5%. 93.7% of people spoke only English at home; the next most common languages were 0.7% Afrikaans, 0.3% German, 0.3% Dutch, 0.2% Portuguese, 0.2% Japanese. The Redland City Council operates a mobile library service which visits the Mount Cotton Community Park at Bohemia Court. ^ Australian Bureau of Statistics (27 June 2017). "Mount Cotton (State Suburb)". 2016 Census QuickStats. Retrieved 14 January 2018. ^ "Mount Cotton - locality in City of Redland (entry 43630)". Queensland Place Names. Queensland Government. Retrieved 30 December 2017. ^ Mt Cotton and Sheldon timeline Archived 2015-04-11 at the Wayback Machine. Redland City Council. Retrieved 14 February 2016. ^ Mary Howells. "Mount Cotton - a brief history" (PDF). Redland City Council. Archived from the original (PDF) on 29 March 2011. Retrieved 26 June 2014. ^ "Sirromet Wines". Bayside Bulletin. Fairfax Media. Retrieved 26 June 2014. ^ "Our Vineyards". Sirromet Wines. Archived from the original on 27 January 2014. Retrieved 26 June 2014. ^ "Mount Cotton". Redland City Council. Archived from the original on 12 May 2014. Retrieved 26 June 2014. ^ a b Judith Kerr (24 July 2015). "Redesign delays $20m Mt Cotton power plant". Redland City Bulletin. Archived from the original on 16 February 2016. Retrieved 14 February 2016. ^ Australian Bureau of Statistics (31 October 2012). "Mount Cotton (State Suburb)". 2011 Census QuickStats. Retrieved 26 June 2014. ^ "Mobile Library". Redland City Council. Archived from the original on 30 January 2018. Retrieved 31 January 2018. Wikimedia Commons has media related to Mount Cotton, Queensland. This page was last edited on 15 May 2018, at 22:48 (UTC).